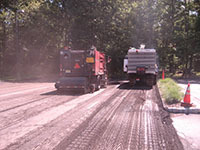 Asphalt milling is used to remove ½” – 4+” prior to installing a new 1 1/2" - 2” asphalt overlay. 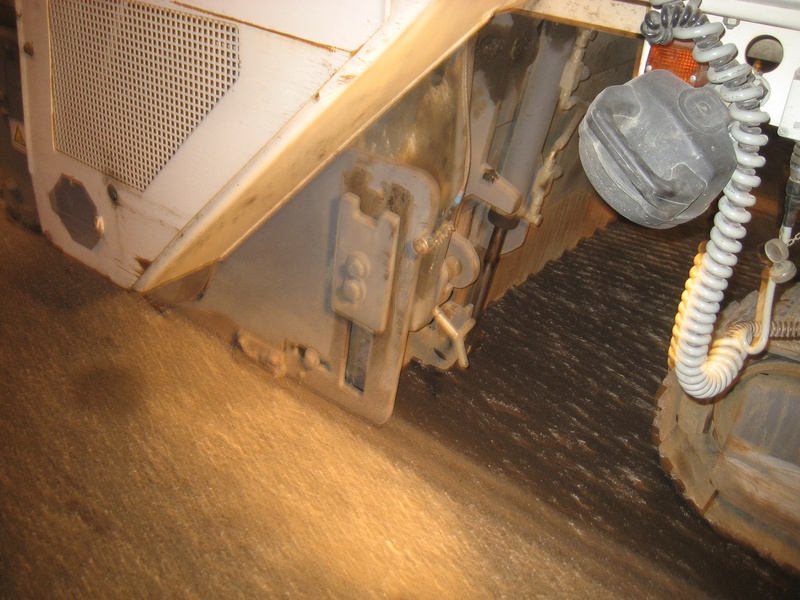 Asphalt milling will NOT prevent reflective cracking if there is cracks in the base layer of asphalt or if there is vertical movement in the asphalt base layer from unstable subgrade. 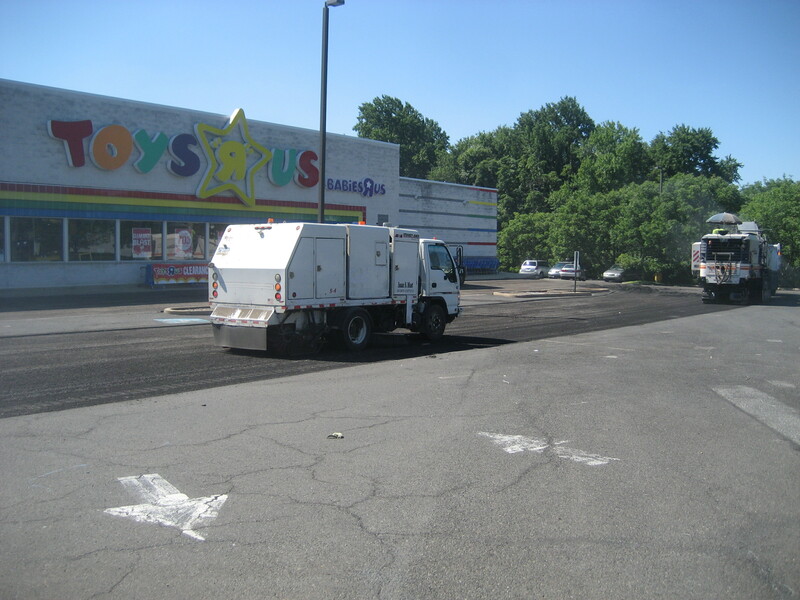 Some asphalt contractors will lead you to believe milling the surface layer of asphalt in a badly cracked / deteriorated parking lot will prevent reflective cracking.. 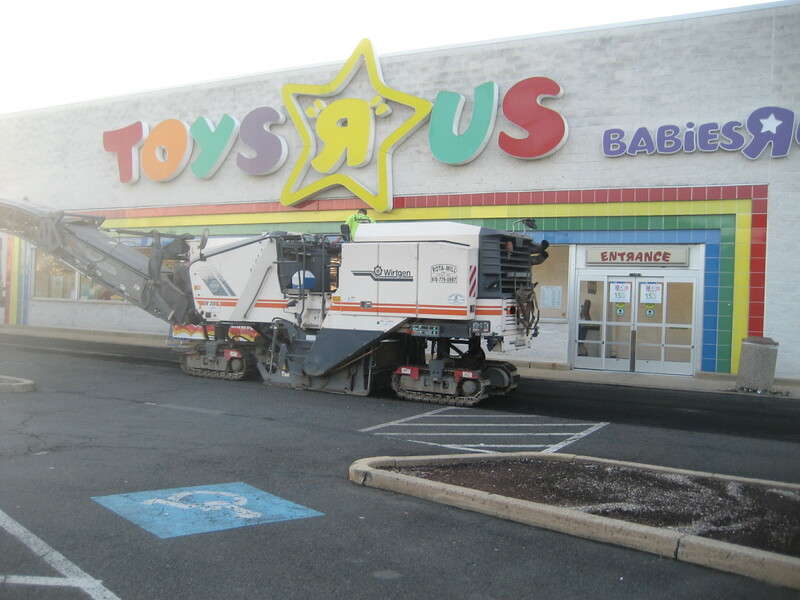 This is NOT accurate. 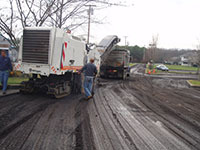 In some instances, the top 1 ½” – 2” overlay in the past may have cracked from either insufficient thickness for the traffic design (ie: Installing a 1” asphalt overlay in a heavy truck area), the asphalt may have been installed when it was cold and the property compaction was not achieved or the asphalt mix was defective. 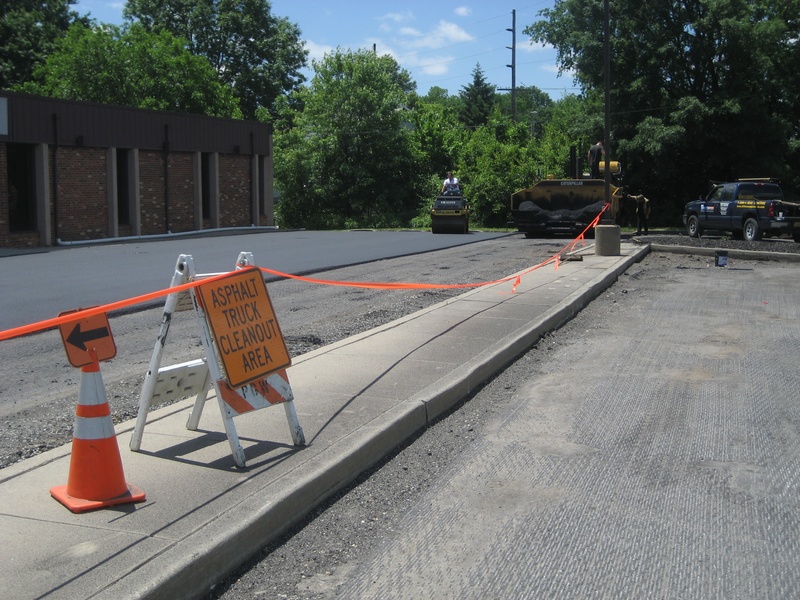 In these cases, after milling and sweeping the lot, if the base layer does not show signs of cracks, the new overlay will not have reflective cracking (As long as it is installed at the proper thickness for the traffic design). 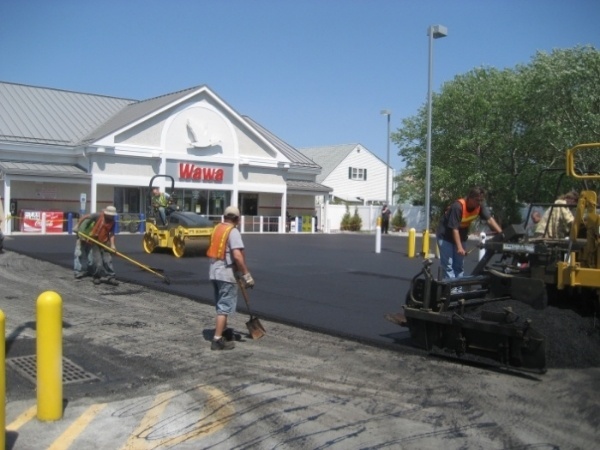 If after milling and sweeping cracks are evident in the base layer of asphalt, the only application to prevent reflective cracking is to install a geotextile paving fabric as mentioned above. 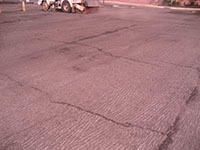 Here is an example after milling where cracks are still present in the base layer of asphalt. 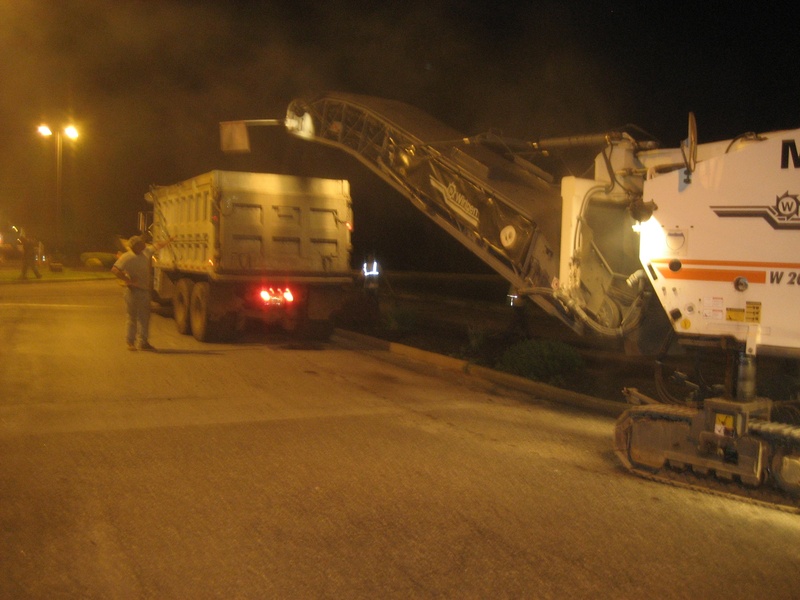 Miller grinding asphalt to a depth of 2"
How much does it cost to mill an asphalt parking lot?